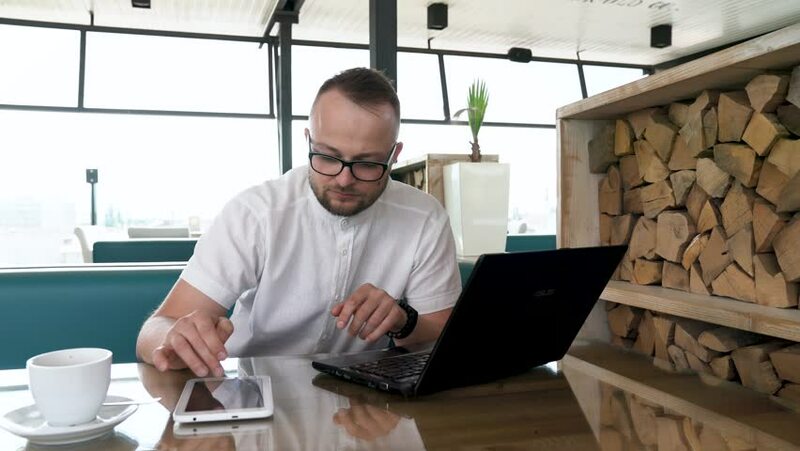 A young, bearded man with glasses working at his notebook and tablet. In a break, he drinks coffee. Concept of fast pace and hard work. 4k00:22Young man working in office alone and smiling 20s 4k. 4k00:24Afro American Doctor Talking with Patient, Online Video Chat on Laptop. 4k00:16African american doctor working on laptop.